Why Choose Property Choices Real Estate? Paula is the epitome of integrity, energy, and hard work and strives to be the best in every aspect of her life. She grew up in Trumbull and has spent her 30+ year professional career in businesses throughout Fairfield County. Her career began in corporate asset management before moving to the Real Estate industry where her corporate experience has been an invaluable benefit to her clients who call on her for direction, guiding them through often complicated and intimidating real estate transactions. Paula has worked many aspects of the Real Estate industry representing investors, sellers, buyers, and working with attorneys and lenders. In addition to being a CT Licensed Real Estate Broker, she is the owner of Property Choices LLC, a Connecticut Debt Negotiation company, and holds a CT Debt Negotiation license. Kathleen has garnered a reputation as a dedicated, honest and caring person. Her personal mission to “live your life to help others live a better one” spills over into her everyday life by providing her clients peerless customer service and helping them make the best possible decisions. She grew up in Westport and has lived in several towns throughout Fairfield County. She truly believes Connecticut is the best place to live. Buying and selling homes of her own has afforded Kathleen a compassion toward her clients’ journeys. As a second-generation Realtor, she combines her love for real estate with her passion for helping people. With 30 years' experience in real estate, insurance, marketing and business management, she possesses the ability to merge her expertise by bringing a strategic yet personable approach to the home buying and selling process. She has earned her SFR® certification (Short Sales & Foreclosure Resource) and SRES® designation (Seniors Real Estate Specialist) with the desire to helping the 50+ community. 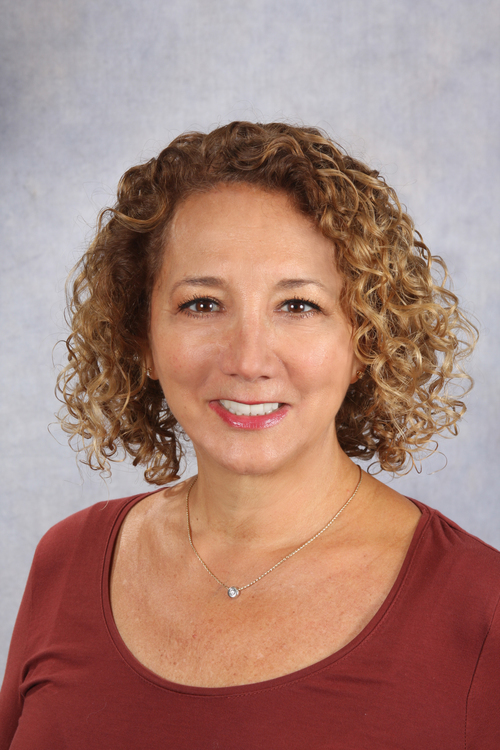 She is an Advisory Board Member on the Connecticut Care Planning Council who helps families deal with the crisis and burden of long term care. She has received education on topics such as tax laws, probate, estate planning and equity conversion strategies. Kathleen views guidance and representation as her top priorities and strives to be someone with whom her clients and colleagues can trust. Sharon has been in the real estate business for over 25 years and is very passionate about her career. She works very hard to make the dreams of sellers and buyers become reality. With her extensive background in the industry, she is able to guide sellers and buyers alike through the real estate process. She continually gets repeat business with her happy past clients that know her work ethic. She always goes the extra mile to create a smooth real estate transaction. Sharon is very good at multi-tasking, organized and is very self-motivated, eager to learn and takes on new challenges. With her extensive background in marketing and advertising, she has a lot to offer her clients and customers. Sharon lives in Stratford with her husband of 31 years and has four wonderful children. She is active in the schools and community and is always willing to pitch in where needed and give of her time. She has chosen Property Choice Real Estate to provide a better customer support system for all of her clients and customers needs. We have extensive experience listing and selling homes. Our sellers come from all walks of life, and many aren't sure of the best way to proceed. They may be looking to sell, but they need guidance. We want our clients to take guided steps and to understand all of their options to benefit them now and into the future. Once listed with us, your property will be listed on many major websites, including Realtor.com, Trulia.com, Zillow.com and Homes.com. Buyers have specific goals and benefit from our years of experience. We work with buyers to find them the perfect home, one that fits their needs and desires. We specialize in working with sellers who need guidance and assistance in deciding on the best way to proceed. Every situation is different, and if after reviewing your situation we determine that now is not the time for you to sell, we will advise you of other options. There are only a handful of Licensed Debt Negotiators in the State of Connecticut. If you have to navigate through difficult financial times, it is wise to work with an experienced, licensed company. There is NO CHARGE to you for our private consultations or our negotiation services. Let's work together to determine if you should STAY in your home, SELL your home, or work quickly on other LAST RESORT options. Be certain you are working with a LICENSED professional. Visit the Connecticut Department of Banking website, or go to​ http://www.ct.gov/dob/cwp/view.asp?a=2233&q=449828, to verify a license or download a list of licensed companies. REALTORS® who carry the Seniors Real Estate Specialist® (SRES®) designation are specially qualified to address the real estate needs of those age 50+. SRES® designees recognize that a home often is the largest and most precious asset that baby boomers and seniors have. Thus, SRES® designees bring a unique approach to each transaction and interaction with clients. They not only offer a deep knowledge of real estate and the local and economic issues shaping market trends, but they're also educated on issues of particular concern to aged 50+ clients. Let our Seniors Real Estate Specialist guide you through this journey.